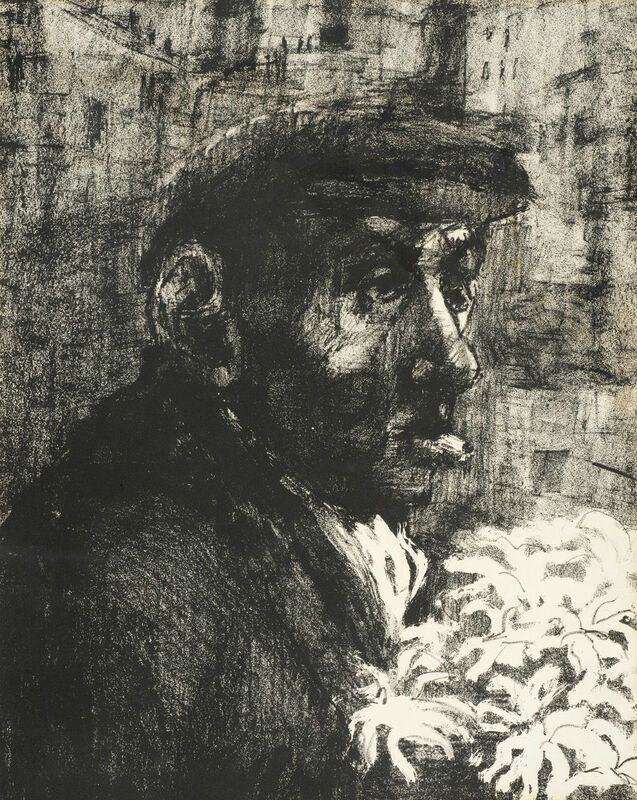 description A head-and-shoulders, lithographic portrait of an elderly man, seen in three-quarters profile, facing right, wearing a cloth cap and a scarf. A cigarette dangles from his mouth and he holds a bunch of flowers. A street scene with houses is faintly discernible in the background. 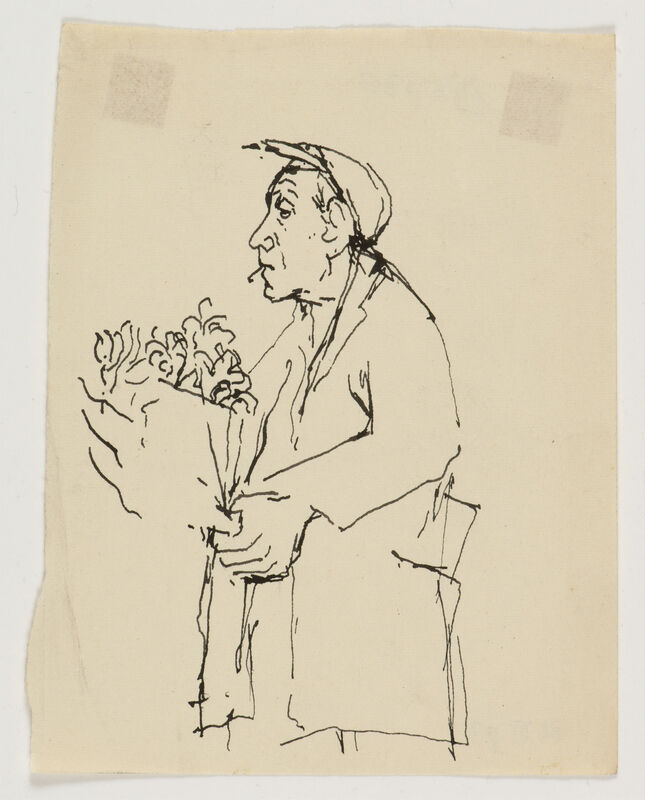 The sitter may be the same as in the pen-and-ink drawing of the same title, 'Man with Cigarette and Flowers'. The setting for the work is Whitechapel. exhibition history 'Eva Frankfurther 1930-1959: Memorial Exhibition', Boundary Gallery, London, 15 June-18 July 2001, (83), £200.